We have been ranked as the top school in West Sussex and the top girls’ school in Sussex as a whole after a set of impressive GCSE results. Of the 300 independent schools which published their GCSE results, we have been placed 63rd in the Daily Telegraph rankings. 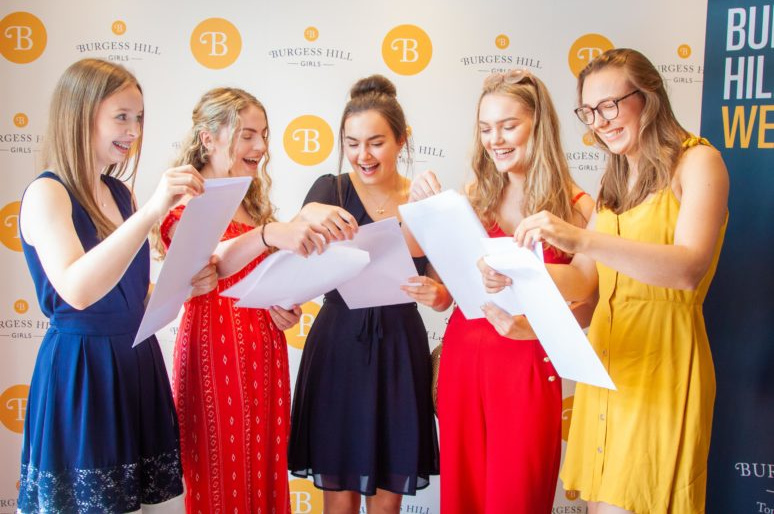 Eight of our girls achieved 100 per cent grades 9-7 (A*/A) in their GCSEs. Selina Wang gained nine grade 9s, a futher A* and a distinction in level 2 further mathematics. She was one of only 732 students in the country to score a clean sweep of grade 9s in all subjects. A further twelve of our girls achieved 100 per cent grades 9-7. Over half of all entries were also graded 9/8 or A* and 74 per cent of entries graded 9-7, a ten per cent increase on last year. Sixty-two per cent of the cohort gained at least seven or more grades 9-7.